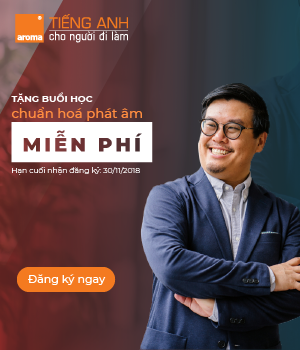 Báo tiếng Anh: Rơi máy bay Air France: lỗi tại ai? “Cục điều tra tai nạn máy bay của Pháp vừa cho biết một phần lỗi làm cho máy bay hãng Air France rơi trên đường bay từ Rio de Janeiro đến Paris cách đây hai năm là do phi công gây ra. Chiếc Airbus A330 rơi từ độ cao 35.000 feet xuống Đại Tây Dương, làm thiệt mạng 228 hành khách trên máy bay. This is not the final report into the causes of the crash, but with the new evidence from the flight recorders, it’s the most substantial analysis to date – and what’s new is a clear signal from the investigators that pilot error may have been partly to blame. The initial problem it’s now certain was the failure of outside speed monitors, which froze over. But in response to that, the bureau says, the three man crew failed to take the correct steps. The 32 year-old co-pilot who was at the controls kept the plane on an upward trajectory, which caused the plane to stall. But even though a warning then sounded for nearly a minute, at no point, says the report, did the crew formally identify a stall situation. No announcement was made to the passengers as the plane then plunged for three and a half minutes before hitting the sea. The shifting of blame towards the pilots – and by implication away from the machinery of the plane – is a highly sensitive matter, and Air France has already reacted angrily. It says there’s no cause to question the professionalism of its crew, and pointing the finger at the manufacturer, Airbus, it says that confusing signals from the stall alarm system in the cockpit hindered the pilots in their task of analysing the crisis. The Masculism of “The Unbearable Lightness of Being” and the Feminism of “The Time of Doves”.